Each academic year, Rochester faculty members publish books that advance scholarship and investigate questions of broad interest. New Reads offers a selection of some of their most recent work. 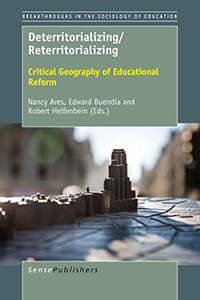 Focused on the changing landscape of educational reform and land-use policies, Ares, an associate professor of education at the Warner School of Education, and her coeditors reveal how social, political, and historical dimensions of social spaces—especially racial, ethnic, and other markers of difference—shape and are shaped by school reforms. 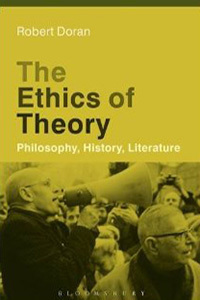 The book, whose contributors are from a range of fields, situates itself in contemporary public education policies that are pushing responsibility for economic and social welfare, as well as education policy and practice, out of federal entities and into local ones. Burges, an assistant professor of English, and Elias present essays from an assortment of scholars in the new field of time studies. 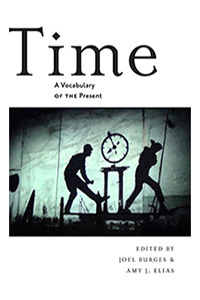 The volume focuses on the decades since World War II—a period “animated by certain kinds of time consciousness”—and considers time as history, as calculation, and as culture. 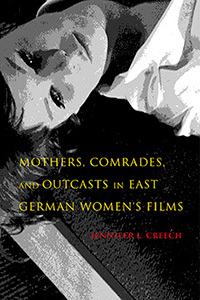 Among the essayists included is Rachel Haidu, an associate professor of art and art history and director of the graduate program in visual and cultural studies. 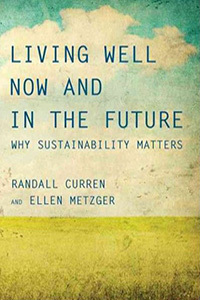 Curren, a professor of philosophy and chair of the philosophy department, and Metzger, a geologist, formulate an ethics of sustainability with lessons for government, organizations, and individuals. They examine the nature and value of sustainability, proposing that sustainability can be understood as the art of living well together without diminishing the opportunity to live well in the future. The authors also catalog the problems and obstacles confronting sustainability and identify the kinds of efforts that can overcome them. A professor and chair of political science, Helmke examines the institutional instability pervading contemporary Latin America. 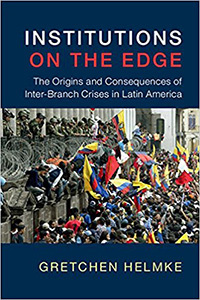 Contributing to this instability are inter-branch crises, “the attempt by one branch of government to remove or otherwise take control over another branch.” Drawing on an original dataset for 18 Latin American countries over the last three decades, she finds evidence that granting extensive constitutional powers to the president—particularly when the government is divided—makes all three branches of government more prone to instability.